Compared to other major Korean companies, Samsung survived the 1997 Asian financial crisis relatively unharmed. However, Samsung Motor was sold to Renault at a significant loss. As of 2010, Renault Samsung is 80.1 percent owned by Renault and 19.9 percent owned by Samsung. Additionally, Samsung manufactured a range of aircraft from the 1980s to 1990s. The company was founded in 1999 as Korea Aerospace Industries (KAI), the result of a merger between then three domestic major aerospace divisions of Samsung Aerospace, Daewoo Heavy Industries and Hyundai Space and Aircraft Company. However, Samsung still manufactures aircraft engines and gas turbines. In FY 2009, Samsung reported consolidated revenues of 220 trillion KRW ($172.5 billion). In FY 2010, Samsung reported consolidated revenues of 280 trillion KRW ($258 billion), and profits of 30 trillion KRW ($27.6 billion) (based upon a KRW-USD exchange rate of 1,084.5 KRW per USD, the spot rate as of 19 August 2011). These amounts do not include the revenues from all of Samsung's subsidiaries based outside South Korea. ^ "Home and Kitchen Appliance showcase - Samsung". Archived from the original on 9 March 2017. ^ a b c d "Samsung Financial Highlights". Samsung Group. Archived from the original on 5 March 2019. Retrieved 23 March 2019. ^ "Fast Facts - Samsung Global Newsroom". Samsung. Archived from the original on 21 March 2019. Retrieved 23 March 2019. ^ "Samsung Electronics Rises to No. 6 in Interbrand's Best Global Brands 2017". news.samsung.com. Archived from the original on 1 January 2018. Retrieved 31 December 2017. ^ "Samsung topples Intel to become the world's largest chipmaker – TechCrunch". techcrunch.com. Archived from the original on 25 May 2018. Retrieved 25 May 2018. ^ Mu-Hyun, Cho. "Samsung's logic chip biz turns to AI chips and 5G for change of fortune | ZDNet". ZDNet. Archived from the original on 3 July 2018. Retrieved 25 May 2018. ^ "The Top 225 International Contractors 2013". Enr.construction.com. Archived from the original on 21 July 2013. Retrieved 25 August 2013. ^ "Global 500 2009: Industry: - FORTUNE on CNNMoney.com". Money.cnn.com. 20 July 2009. Archived from the original on 31 August 2010. Retrieved 4 September 2010. ^ Valhouli, Christina (21 March 2002). "The World's Best Amusement Parks". Forbes.com. Archived from the original on 22 August 2010. Retrieved 11 September 2010. ^ "Cheil Worldwide (030000 KS)" (PDF). kdbdw.com. 26 April 2010. Archived (PDF) from the original on 4 October 2013. Retrieved 8 May 2013. ^ "Samsung and its attractions – Asia's new model company". The Economist. 1 October 2011. Archived from the original on 4 January 2012. Retrieved 11 January 2012. ^ "South Korea's economy – What do you do when you reach the top?". The Economist. 12 November 2011. Archived from the original on 10 January 2012. Retrieved 11 January 2012. ^ Hutson, Graham; Richards, Jonathan (17 April 2008). "Samsung chairman charged with tax evasion – Times Online". The Times. London. Archived from the original on 3 May 2011. Retrieved 28 February 2011. ^ "한국 10대 그룹 이름과 로고의 의미". www.koreadaily.com. 10 July 2006. Archived from the original on 29 April 2011. Retrieved 19 September 2010. ^ "Industrial giant's roots tied to nylon products". Joongangdaily.joins.com. 9 November 2009. Archived from the original on 20 January 2011. Retrieved 5 February 2011. ^ "SPC-1000". old-computers.com. Archived from the original on 3 April 2012. Retrieved 19 March 2012. ^ "Samsung to celebrate 100th anniversary of late founder". koreaherald.com. 29 March 2010. Archived from the original on 29 April 2011. Retrieved 21 January 2011. ^ "Samsung Austin Semiconductor Begins $3.6B Expansion for Advanced Logic Chips" (PDF). Austinchamber.com. 9 June 2010. Retrieved 13 September 2010. ^ "Dubai skyscraper symbol of S. Korea's global heights". CNN. 19 October 2009. Archived from the original on 20 October 2009. Retrieved 19 October 2009. ^ "Samsung buys Sony's entire stake in LCD joint venture". bbc.co.uk. 26 December 2011. Archived from the original on 15 August 2018. Retrieved 21 June 2018. ^ "Samsung Techwin to spin off camera business". reuters.com. 6 November 2008. Archived from the original on 28 July 2011. Retrieved 5 April 2011. ^ "Samsung overtakes Nokia in mobile phone shipments". BBC News. 27 April 2012. Archived from the original on 14 August 2012. Retrieved 6 August 2012. ^ "Samsung overtakes Nokia for Cellphone Lead". Archived from the original on 28 April 2012. Retrieved 29 April 2012. ^ Vascellaro, Jessica E.. (25 August 2012) The Wall Street Journal Archived 10 February 2013 at the Wayback Machine. Online.wsj.com. Retrieved 19 March 2013. ^ "Samsung bites back after Apple victory" Archived 30 August 2012 at the Wayback Machine. Al Jazeera English. 26 August 2012. Retrieved 19 March 2013. ^ Samsung Shares Fall After Apple Wins $1 Billion Verdict Archived 22 October 2014 at the Wayback Machine. Bloomberg. Retrieved 19 March 2013. ^ "Apple Seeks Ban on Sales of Eight Samsung Phones in U.S." Archived 22 October 2014 at the Wayback Machine Bloomberg. 27 August 2012. Retrieved 19 March 2013. ^ "Apple Denied Motion for Permanent Injunction" Archived 3 February 2016 at the Wayback Machine. Scribd.com. Retrieved 19 March 2013. ^ Tood Bishop, GeekWire. "New stats: Samsung surges past IBM to lead U.S. patent race for 2015 Archived 22 December 2015 at the Wayback Machine." 15 December 2015. 15 December 2015. ^ Best, Shivali (18 July 2016). "Say hello to Galaxy Note 7: Samsung reveals new smartphone will be unveiled on August 2nd". Daily Mail Online. DMG Media Limited. Archived from the original on 18 April 2017. Retrieved 13 January 2018. ^ Hern, Alex (11 October 2016). "Samsung Galaxy Note 7 production permanently ended following battery explosions". The Guardian. Archived from the original on 23 February 2019. Retrieved 9 August 2018. ^ "Samsung Will Ask All Global Partners to Stop Sales and Exchanges of Galaxy Note7 While Further Investigation Takes Place". news.samsung.com. Archived from the original on 9 August 2018. Retrieved 9 August 2018. ^ "Samsung scraps Galaxy Note 7 production". BBC News. 11 October 2016. Archived from the original on 2 October 2018. Retrieved 9 August 2018. ^ "Samsung buys Swedish wireless chip company Nanoradio". computerworld.com. June 2012. Archived from the original on 4 October 2012. Retrieved 11 June 2012. ^ "Franke & Heidecke - Rollei TLRs". Archived from the original on 30 September 2015. Retrieved 12 September 2015. ^ "Samsung Loses Attempt to Acquire Fokker". latimes.com. 1 January 1997. Archived from the original on 1 May 2011. Retrieved 5 February 2011. ^ "Samsung buys Dutch group in return to M&A". 9 June 1997. Archived from the original on 26 January 2011. Retrieved 5 February 2011. ^ "Nomura Wins The Lehman Asia Stakes". Forbes. 22 September 2008. Archived from the original on 15 May 2011. Retrieved 7 February 2011. ^ "Samsung-Rothschild alliance". koreatimes.co.kr. 5 November 2008. Archived from the original on 29 April 2011. Retrieved 7 February 2011. ^ Ramstad, Evan (14 December 2010). "Samsung Electronics Buys Ultrasound-Monitor Maker Medison - WSJ.com". The Wall Street Journal. Archived from the original on 10 May 2013. Retrieved 11 February 2013. ^ Dylan McGrath, EE Times. "Samsung buys MRAM developer Grandis Archived 27 October 2012 at the Wayback Machine." 2 August 2011. Retrieved 2 August 2011. ^ Chris Preimesberger, eWeek. "Samsung Acquires New-Gen Memory Maker Grandis Archived 15 May 2016 at the Portuguese Web Archive." 2 August 2011. Retrieved 2 August 2011. ^ Samsung Buys Medical Imaging Company NeuroLogica Archived 5 July 2017 at the Wayback Machine. TechCrunch (28 January 2013). Retrieved 19 March 2013. ^ Samsung Acquires SmartThings, A Fast-Growing Home Automation Startup Archived 30 December 2014 at the Wayback Machine. Forbes (14 August 2014). Retrieved 19 August 2014. ^ Stein, Scott (19 February 2015). "Samsung's LoopPay: What it is, and why you should care". CNET News. CBS Interactive Inc. Archived from the original on 12 October 2017. Retrieved 13 January 2018. ^ By Min-Jeong Lee, The Wall Street Journal. "Samsung's Latest Acquisition: Utah-Based Yesco Electronics Archived 18 January 2017 at the Wayback Machine." 5 March 2015. 27 March 2015. ^ Panzarino, Matthew (5 October 2016). "Samsung acquires Viv, a next-gen AI assistant built by the creators of Apple's Siri". TechCrunch. Archived from the original on 10 October 2016. Retrieved 10 October 2016. ^ Tibken, Shara (15 November 2016). "Samsung's new acquisition will make your texts more interesting". CNET News. CBS Interactive Inc. Archived from the original on 17 November 2016. Retrieved 17 November 2016. ^ "Samsung refocuses on its core business as it sells security arm Samsung Techwin to Hanwha Group". Archived from the original on 24 September 2015. Retrieved 6 September 2015. ^ a b c "(LEAD) Hanwha wraps up takeover of four Samsung arms". 28 June 2015. Archived from the original on 3 July 2015. Retrieved 6 September 2015. ^ "Company Overview of Samsung Thales Co., Ltd". bloomberg.com. Archived from the original on 6 March 2016. Retrieved 21 October 2015. ^ a b Miyoung Kim (17 January 2012). 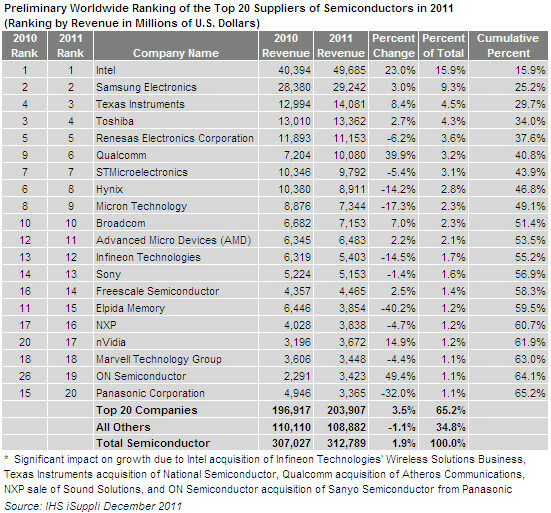 "Samsung Group plans record $41 billion investment in 2012". Reuters. Archived from the original on 25 May 2013. Retrieved 18 July 2013. ^ "삼성 8년전 타임캡슐 열어보니...지난해 매출 정확히 맞춰". news.naver.com. 13 January 2011. Archived from the original on 13 December 2013. Retrieved 22 August 2011. ^ Kim Kyung-rok　(11 April 2011). "Chaebol asset holdings swell under Lee administration". hani.co.kr. Archived from the original on 3 August 2012. Retrieved 18 September 2011. ^ "Samsung's Cheil Industries submits plans for roughly $1.4 billion IPO" (Press release). Reuters. 14 October 2014. Archived from the original on 24 September 2015. Retrieved 1 July 2017. ^ Barkham, Patrick (9 August 2012). "Samsung: Olympic smartphone firm aims for big global wins". The Guardian. London: Guardian News and Media Limited. Archived from the original on 19 November 2015. Retrieved 27 August 2012. ^ "Profile: Samsung Electronics Co Ltd". Reuters. Archived from the original on 22 October 2012. Retrieved 27 August 2012. ^ "Samsung overtakes Nokia in mobile phone shipments". BBC News. 27 April 2012. Archived from the original on 14 August 2012. Retrieved 27 August 2012. ^ "Samsung Engineering Co Ltd (028050.KS)". REUTERS. Archived from the original on 20 June 2017. Retrieved 22 February 2017. ^ "Profile: Samsung Fire & Marine Insurance Co Ltd". Reuters. Archived from the original on 10 February 2013. Retrieved 18 October 2012. ^ "Corporate Profile". Samsung Fire & Marine Insurance. Archived from the original on 5 February 2016. Retrieved 18 October 2012. ^ "Company Profile for Samsung Heavy Industries Co Ltd". Bloomberg. Archived from the original on 19 August 2013. Retrieved 27 August 2012. ^ "Separate Statements of Income Years Ended December 31, 2011 and 2010" (PDF). Samsung Heavy Industries. Archived (PDF) from the original on 13 December 2013. Retrieved 27 August 2012. ^ "From bad to worse". The Korea Times. 19 August 2012. Archived from the original on 30 October 2012. Retrieved 27 August 2012. ^ "Company Profile for Samsung Life Insurance Co Ltd". Bloomberg. Archived from the original on 3 June 2012. Retrieved 28 August 2012. ^ "Philips, LG Electronics, 4 others fined 1.47 billion Euros for EU cartel". The Economic Times. 5 December 2012. Archived from the original on 20 April 2013. Retrieved 5 December 2012. ^ "Samsung SDI to acquire Magna International's battery pack business". www.samsungsdi.com (in Korean). Archived from the original on 13 February 2017. Retrieved 20 September 2018. ^ "Samsung SDI to Build Electric Vehicle Battery Plant for European Market". TheStreet. 30 August 2016. Archived from the original on 31 August 2016. Retrieved 30 August 2016. ^ "South Korea Starts Grain Venture in Chicago to Secure Supply". bloomberg.com. Archived from the original on 19 August 2013. Retrieved 19 March 2012. ^ "Brooks Automation and Samsung Electronics Announce a Joint Venture". Investors - Brooks Automation, Inc. Brooks Automation, Inc. Archived from the original on 5 February 2016. Retrieved 28 March 2012. ^ "POSCO and Subsidiaries" (PDF). London Stock Exchange. London Stock Exchange plc. 31 December 2008. Archived (PDF) from the original on 7 November 2012. Retrieved 6 June 2012. ^ Hu Yuanyuan (7 July 2005). "Insurance joint venture off to flying start". 英语频道-搜狐网站. Beijing Sohu New Media Information Technology Co. Ltd. Archived from the original on 5 October 2012. Retrieved 19 March 2012. ^ Yang, Jun (25 February 2011). "Samsung Group, Quintiles Plan $266 Million Venture to Make Biologic Drugs". Bloomberg News. Archived from the original on 22 October 2014. Retrieved 13 January 2018. ^ "Samsung to sell chemicals and defence operations for $1.7bn". Kable. 26 November 2014. Archived from the original on 11 April 2015. Retrieved 6 March 2014. ^ "Company Overview of Samsung BP Chemicals Co., Ltd". Bloomberg Business. Bloomberg. Archived from the original on 2 April 2015. Retrieved 6 March 2015. ^ "Samsung and Sumitomo Chemical to make sapphire substrates for LEDs". ledsmagazine.com. Archived from the original on 1 May 2012. Retrieved 19 March 2012. ^ "Samsung Aerospace, Sermatech Launch Korean JV". english.chosun.com. Archived from the original on 11 May 2012. Retrieved 28 March 2012. ^ "Toray/Samsung JV boosts FPD circuit substrate capacity". electroiq.com. Archived from the original on 10 February 2013. Retrieved 28 March 2012. ^ "Alpha's demise thwarts Samsung's processor dreams, analysts say". www.eetimes.com. Archived from the original on 13 July 2012. Retrieved 2 April 2012. ^ "LED EXPO&OLED EXPO 2011 An Interview with GE Lighting". us.GFSSGYG aving.net. Archived from the original on 15 June 2013. Retrieved 2 April 2012. ^ "Steel firms in B2B venture". money.cnn.com. 10 May 2000. Archived from the original on 5 October 2012. Retrieved 2 April 2012. ^ "Milestone launch at Brazil's Atlântico Sul". MarineLog. Archived from the original on 22 May 2012. Retrieved 6 March 2012. ^ "Doosan Engine ends 33.2 pct higher on stock market debut". yonhapnews.co.kr. 3 January 2011. Archived from the original on 15 November 2012. Retrieved 19 March 2012. ^ "Korea Aerospace sale could prove need for clearer M&A guidelines". privateequitykorea.com. Archived from the original on 30 May 2015. Retrieved 19 March 2012. ^ "MEMC Korea Company". memc.com. Archived from the original on 27 February 2012. Retrieved 19 March 2012. ^ "Samsung to buy 10 percent stake in rival Pantech". zdnet.com. Retrieved 23 October 2013. ^ "Rambus, Inc. RMBS". morningstar.ca. Archived from the original on 10 August 2012. Retrieved 6 March 2012. ^ "Seagate to Buy Samsung's Hard-Disk Unit for $1.38 Billion, Build Alliance". Bloomberg Businessweek. Archived from the original on 14 February 2012. Retrieved 6 March 2012. ^ "Samsung buys stake in struggling Sharp". money.cnn.com. Archived from the original on 10 March 2013. Retrieved 23 October 2013. ^ "Posco Heavy Industries' may be in the works" (PDF). Korea JoongAng Daily. Retrieved 19 March 2012. ^ "Samsung buys five percent stake in stylus-maker Wacom". engadget.com. Retrieved 23 October 2013. ^ "Samsung Heavy Industries". www.forbes.com. 23 September 2009. Archived from the original on 31 May 2010. Retrieved 13 September 2010. ^ "Samsung Heavy Signs Deal with Shell to Build LNG Facilities". www.hellenicshippingnews.com. 31 July 2009. Retrieved 13 September 2010. ^ "Major construction begins on the Prelude FLNG project". 18 October 2012. Archived from the original on 15 July 2014. Retrieved 15 July 2014. ^ "The gas platform that will be the world's biggest 'ship'". bbc.co.uk. 15 July 2011. Archived from the original on 30 December 2011. Retrieved 19 March 2012. ^ "한국 10대 그룹 이름과 로고의 의미". The Korea Daily. JMnet USA. 7 June 2010. Archived from the original on 29 April 2011. Retrieved 13 January 2018. ^ "Speaker". Audio Branding Academy. Archived from the original on 3 March 2016. Retrieved 17 December 2015. ^ "Logo Video". Samsung-Youtube. Archived from the original on 19 December 2011. Retrieved 15 January 2011. ^ Chaim Gartenberg, The Verge. "Samsung developed its own font called SamsungOne Archived 26 February 2017 at the Wayback Machine." 25 July 2016. 25 July 2016. ^ "기업의 사회공헌 삼성그룹, 함께 가는 '창조 경영'... 봉사도 1등". www.dt.co.kr. Archived from the original on 30 April 2011. Retrieved 19 September 2010. ^ Roberts, Rob (26 October 2009). "AECOM Technology buys Ellerbe Becket". kansascity.bizjournals.com. Archived from the original on 29 October 2009. Retrieved 19 September 2010. ^ Kim, Miyoung (27 November 2013). "Samsung's marketing splurge doesn't always bring bang-for-buck". Reuters. Archived from the original on 1 October 2015. Retrieved 21 October 2015. ^ Choe Sang-Hun (6 November 2007). "Corruption scandal snowballs at South Korea's Samsung Group". New York Times. Archived from the original on 1 July 2017. Retrieved 23 September 2013. ^ a b c Reisinger, Don (28 August 2014). "Samsung supplier factory found to use child labor, watchdog says". CNET. United States. Archived from the original on 28 February 2015. Retrieved 10 March 2015. ^ "Another Samsung supplier factory exploiting child labor". www.chinalaborwatch.org. Archived from the original on 21 January 2015. Retrieved 20 September 2018. ^ "Cover-up involving underage workers at Samsung supplier alleged by labor group". PCWorld. Archived from the original on 22 January 2015. Retrieved 20 September 2018. ^ "Antitrust: Commission fines DRAM producers € 331 million for price cartel; reaches first settlement in a cartel case". European Commission. European Commission. Archived from the original on 7 July 2010. Retrieved 22 April 2012. ^ "Canadian DRAM Class Action". themoneyismine.com. Archived from the original on 15 September 2015. Retrieved 31 August 2015. Samsung Electronics Co., Ltd. (Korean: Samsung Jeonja, Hangul: 삼성전자; Hanja: 三星電子 [literally "tristar electronics"]) is a South Korean multinational electronics company headquartered in Suwon, South Korea. Due to some circular ownership, it is the flagship company of the Samsung chaebol, accounting for 70% of the group's revenue in 2012. Samsung Electronics has assembly plants and sales networks in 80 countries and employs around 308,745 people. It is the world's largest manufacturer of consumer electronics and semiconductors by revenue. As of June 2018, Samsung Electronics' market cap stood at US$325.9 billion.Samsung is a major manufacturer of electronic components such as lithium-ion batteries, semiconductors, chips, flash memory and hard drive devices for clients such as Apple, Sony, HTC and Nokia. It is the world's largest manufacturer of Mobile phones and Smartphones, started with the original Samsung Solstice and later, the popularity of its Samsung Galaxy line of devices. The company is also a major vendor of tablet computers, particularly its Android-powered Samsung Galaxy Tab collection, and regarded for developing the phablet market through the Samsung Galaxy Note family of devices. It has also developed 5G capable smartphones and foldable phones. Samsung has been the world's largest television manufacturer since 2006, and the world's largest manufacturer of mobile phones since 2011. It is also the world's largest memory chips manufacturer. In July 2017, Samsung Electronics overtook Intel as the largest semiconductor chip maker in the world.Samsung has been criticized for low dividend payouts and other governance practices that favor controlling shareholders at the expense of ordinary investors.In 2012, Kwon Oh-hyun was appointed the company's CEO but announced in October 2017 that he would resign in March 2018, citing an "unprecedented crisis". Samsung Galaxy (stylized as SAMSUNG Galaxy since 2015, previously stylized as Samsung GALAXY) is a series of mobile computing devices designed, manufactured and marketed by Samsung Electronics. The product line includes the Galaxy S series of high-end smartphones, the Galaxy Tab series of tablets, the Galaxy Note series of tablets and phablets with the added functionality of a stylus, and smartwatches including the first version of the Galaxy Gear, with later versions dropping the Galaxy branding, until the release of the Galaxy Watch in 2018. Samsung Galaxy devices use the Android operating system produced by Google, usually with a custom user interface called Samsung Experience (formerly known as TouchWiz). However, the Galaxy TabPro S is the first Galaxy-branded Windows 10 device that was announced in CES 2016. The Galaxy Watch is the first Galaxy-branded smartwatch since the release of later iterations of the Gear smartwatch from 2014 to 2017. On April of 2019, the company announced that it would postpone the release of its folding smartphone, The Samsung Galaxy Fold, days after several early reviewers said the screens on their devices had broken. A new launch date was not announced. The Samsung Galaxy A series is a line of mid-range smartphones manufactured by Samsung Electronics. Until 2018 models, the Galaxy A series is similar to the flagship Galaxy S series, but with lower specifications and features. Starting in 2019 (5th generation models), the Galaxy A series has been re-positioned as lower mid-range smartphones slightly above the Galaxy M series that was introduced in the same year. The first model in the series, the Samsung Galaxy Alpha, was released in September 2014; it was followed by the first-generation Samsung Galaxy A3 and A5, which were introduced in December 2014. Following the announcement of the 2017 series, Samsung announced that they will sell up to 20 million Galaxy A series smartphones, targeting consumers in Europe, Africa, Asia, the Middle East and Latin America.As of 2018, most of the Galaxy A series models are currently available to most countries. Galaxy Tab A is also part of the A series and sold to most countries as well. Samsung Galaxy Fold is an Android foldable smartphone developed by Samsung Electronics. Unveiled February 20, 2019, its release has been postponed indefinitely after reviewers began experiencing issues with the flexible display. The device is capable of being folded open to expose a 7.3-inch tablet-sized flexible display. The Samsung Galaxy Note 9 (marketed as Samsung Galaxy Note9) is an Android phablet smartphone designed, developed and marketed by Samsung Electronics as part of the Samsung Galaxy Note series. It was awarded the "Best Phone of the Year" award by Consumer Reports. It was unveiled on 9 August 2018, as the successor to the Samsung Galaxy Note 8. The Samsung Galaxy S is a touchscreen-enabled, slate-format Android smartphone designed, developed, and marketed by Samsung Electronics. It is the first device of the third Android smartphone series produced by Samsung. It was announced to the press in March 2010 and released for sale in June 2010. The Galaxy S is produced in over two dozen variations. The international 'GT-I9000' reference version features a 1 GHz ARM "Hummingbird" processor, a PowerVR graphics processor, 2 or 4 GB of internal flash memory, a 4 in (10 cm) 480×800 pixel Super AMOLED capacitive touchscreen display, Wi-Fi connectivity, a 5-megapixel primary camera and a 0.3-megapixel secondary front-facing camera. Derivative models may include localized cellular radios or changes to button layouts, keyboards, screens, cameras or the Android OS. At the time of its release, the Galaxy S included the fastest graphical processing of any smartphone, was the thinnest smartphone at 9.9 mm and was the first Android phone to be certified for DivX HD.As of 2013, over 25 million Galaxy S units have been sold. The Galaxy S name continued on with the semi-related Snapdragon-based Galaxy S Plus and NovaThor-based Galaxy S Advance smartphones. The next major release of the series was the Samsung Galaxy S II. In 2012, Samsung introduced the dual SIM version of the Galaxy S, Samsung Galaxy S Duos. Samsung Galaxy S10 is a line of Android smartphones manufactured by Samsung Electronics. The Galaxy S10 series is a celebratory series of the 10th anniversary of the Samsung Galaxy S flagship line. Unveiled during a press event, Samsung Galaxy Unpacked 2019 on February 20, 2019, they started shipping on March 8, 2019, and in some regions such as Australia and the United States, they started shipping on March 6, 2019.As has been done since the Galaxy S9, Samsung unveiled flagship Galaxy S10 and Galaxy S10+ models, differentiated primarily by screen size and an additional front-facing camera on the S10+. In addition, Samsung also unveiled a smaller model known as the Galaxy S10e, as well as a larger, 5G-compatible version, the Galaxy S10 5G. The Galaxy S10e, S10 and S10+ launch prices started at $749, $899 and $999 respectively. The Samsung Galaxy S4 is an Android smartphone produced by Samsung Electronics and was first shown publicly on March 14, 2013, at Samsung Mobile Unpacked in New York City. It is the successor to the Galaxy S III, which maintains a similar design, but with upgraded hardware and an increased focus on software features that take advantage of its hardware capabilities—such as the ability to detect when a finger is hovered over the screen, and expanded eye tracking functionality. A hardware variant of the S4 became the first smartphone to support the emerging LTE Advanced mobile network standard.The S4 was made available in late April 2013 on 327 carriers in 155 countries. It became Samsung's fastest selling smartphone and eventually Samsung’s best selling smartphone with 20 million sold worldwide in the first two months, and 40 million in the first six months.While some users called all new Galaxy S4 features "innovation", others called them feature creep or just gimmicks. Those features are, for example, Smart Pause, Smart Rotation, Smart Scroll, Air View, Air gesture, Story Album and Temperature and humidity sensors. The Galaxy S4's successor, the Samsung Galaxy S5, was announced by Samsung in February 2014 ahead of a release in April of that year. The Samsung Galaxy S5 is an Android smartphone produced by Samsung Electronics. Unveiled on 24 February 2014 at Mobile World Congress in Barcelona, Spain, it was released on 11 April 2014 in 150 countries as the immediate successor to the Galaxy S4. As with the S4, the S5 is an evolution of the prior year's model, placing a particular emphasis on an improved build with a textured rear cover and IP67 certification for dust and water resistance, a more refined user experience, new security features such as a fingerprint reader and private mode, expanded health features (such as a built-in heart rate monitor), and an updated camera. The Galaxy S5 received mostly positive reviews; The phone was praised for its display, hardware, camera, long battery life, and incorporating water resistance while retaining a removable battery and MicroSD slot. However, the S5 was criticized for bloated software, the inconsistent fingerprint scanner featured on the phone, and its plastic design in light of rival smartphones' more premium metal bodies.In August 2015, following the release of its latest flagship, the Galaxy S6, Samsung released an updated version called the "Galaxy S5 Neo" which has an Exynos 7 Octa (7580) processor clocked at 1.6 GHz. It has 2 GB of RAM, 16 GB of internal storage and comes with Android 6.0.1 "Marshmallow". Samsung Galaxy S6 is a line of Android smartphones manufactured and marketed by Samsung Electronics. Succeeding the Samsung Galaxy S5, the S6 was not released as a singular model, but instead in two variations unveiled and marketed together—the Galaxy S6 and Galaxy S6 Edge—with the latter differentiated primarily by having a display that is wrapped along the sides of the device. The S6 and S6 Edge were unveiled on March 1, 2015, during the Samsung Unpacked press event at MWC Barcelona, and released April 10, 2015. During the subsequent Samsung Unpacked event on August 13, 2015 (alongside the Galaxy Note 5), Samsung unveiled a third model, the Galaxy S6 Edge+, which features a larger phablet-sized display. Although the overall design of the Galaxy S6 still features characteristics from prior models, its construction was revamped to use a metal unibody frame and glass backing instead of plastic. Samsung also promoted an improved camera, streamlined user interface, support for major wireless charging standards, and support for a mobile payments platform that allows the device to emulate the magnetic strip from a credit card. The Galaxy S6 received mostly positive reviews from critics, who praised the devices' upgraded build quality over prior models, along with improvements to their displays, performance, camera, and other changes. However, Samsung's decision to remove the ability to expand their storage or remove the battery was panned as being potentially alienating to power users, and the S6 Edge was also panned for not making enough use of its curved display to justify its increased cost over the standard model on-launch. Samsung Galaxy S7, Samsung Galaxy S7 Edge and Samsung Galaxy S7 Active are Android smartphones manufactured and marketed by Samsung Electronics. The S7 series serves as the successor to the Galaxy S6, S6 Edge, S6 Edge+ and S6 Active released in 2015. The S7 and S7 Edge were officially unveiled on 21 February 2016 during a Samsung press conference at Mobile World Congress, with a European and North American release on 11 March 2016. The S7 Active was unveiled on 4 June 2016, and released on AT&T in the United States on 10 June 2016.The Galaxy S7 is an evolution of the prior year's model, with upgraded hardware, design refinements, and the restoration of features removed from the Galaxy S6, such as IP certification for water and dust resistance, as well as expandable storage. Succeeding the S6 and S6 Edge+, respectively, the S7 is produced in a standard model with a display size of 5.1-inch (130 mm) as well as an Edge variant whose display is curved along the wide sides of the screen and also has a larger 5.5-inch (140 mm) display. The S7 Active features a thicker more rugged frame and an increased battery capacity. The Galaxy S7 and S7 Edge are the last two phones in the Samsung Galaxy S series to have a physical home button with a front-sided fingerprint sensor embedded in the button (the S7 Active being the last in the Active series to feature three physical buttons with the fingerprint reader embedded home button) and the last Samsung Galaxy S series phones to use MicroUSB charging. The Samsung Galaxy S8, Samsung Galaxy S8+ and Samsung Galaxy S8 Active are Android smartphones (with the S8+ being the phablet smartphone) produced by Samsung Electronics as the eighth generation of the Samsung Galaxy S series. The S8 and S8+ were unveiled on 29 March 2017 and directly succeeded the Samsung Galaxy S7 and S7 edge, with a North American release on 21 April 2017 and international rollout throughout April and May. The S8 Active was announced on 8 August 2017 and is exclusive to certain U.S. cellular carriers. The S8 and S8+ contain upgraded hardware and major design changes over the S7 line, including larger screens with a taller aspect ratio and curved sides on both the smaller and larger models, iris and face recognition, a new suite of virtual assistant features known as Bixby (along with a new dedicated physical button for launching the assistant), a shift from MicroUSB to USB-C charging, and Samsung DeX, a docking station accessory that allows the phones to be used with a desktop interface with keyboard and mouse input support. The S8 Active features tougher materials designed for protection against shock, shatter, water and dust, with a metal frame and a tough texture for improved grip that makes the S8 Active have a rugged design. The Active's screen measures the same size as the standard S8 model but loses the curved edges in favor of a metal frame. The S8 and S8+ received mostly positive reviews. Their design and form factor received praise, while critics also liked the updated software and camera optimizations. They received criticism for duplicate software apps, lackluster Bixby features at launch, for the placement of the fingerprint sensor on the rear next to the camera. A video published after the phones' release proved that the devices' facial and iris scanners can be fooled by suitable photographs of the user. The S8 and S8+ were in high demand at release. During the pre-order period, a record one million units were booked in South Korea, and overall sales numbers were 30% higher than the Galaxy S7. However, subsequent reports in May announced sales of over five million units, a notably lower first-month sales number than previous Galaxy S series models. On March 11, 2018, Samsung launched the successor to the S8, the Samsung Galaxy S9. The Samsung Galaxy S9 and Samsung Galaxy S9+ are Android smartphones produced by Samsung Electronics as part of the Samsung Galaxy S series. The devices were revealed at the Mobile World Congress in Barcelona on 25 February 2018, as the successors to the Samsung Galaxy S8 and S8+.The Galaxy S9 and S9+ have nearly identical features to the S8 batch, with the same display size and aspect ratio, just like their predecessor. One highly regarded change to distinguish between the models is the location of the fingerprint sensor. While the S8's is found beside the camera, the S9's is directly underneath it. Most notably, however, the S9 line is equipped with several camera improvements over the S8. The phone has received generally favorable reviews, with critics mostly noting the enhanced camera and better positioned fingerprint scanner. Critics, however, still criticize the lack of improvement to other features compared to its predecessor. The Samsung Galaxy S II is a touchscreen-enabled, slate-format Android smartphone designed, developed, and marketed by Samsung Electronics. It has additional software features, expanded hardware, and a redesigned physique compared to its predecessor, the Samsung Galaxy S. The S II was launched with Android 2.3 "Gingerbread", with updates to Android 4.1.2 "Jelly Bean". Samsung unveiled the S II on 13 February 2011 at the Mobile World Congress (MWC) in Barcelona. It was one of the slimmest smartphones of the time, mostly 8.49 mm thick, except for two small bulges which take the maximum thickness of the phone to 9.91 mm. The Galaxy S II has a 1.2 GHz dual-core "Exynos" system on a chip (SoC) processor, 1 GB of RAM, a 10.8 cm (4.3 in) WVGA Super AMOLED Plus screen display and an 8-megapixel camera with flash and 1080p full high definition video recording. It is one of the first devices to offer a Mobile High-definition Link (MHL), which allows up to 1080p uncompressed video output to an MHL enabled TV or to an MHL to HDMI adapter, while charging the device at the same time. USB On-The-Go is supported.The user-replaceable battery gives up to ten hours of heavy usage, or two days of lighter usage. According to Samsung, the Galaxy S II is capable of providing 9 hours of talk time on 3G and 18.3 hours on 2G.The Galaxy S II was popular and a huge success both critically and commercially, selling 3 million units within its first 55 days on the market. It was succeeded by the Samsung Galaxy S III in May 2012. The Samsung Galaxy S III (or Galaxy S3) is an Android smartphone designed, developed, and marketed by Samsung Electronics. Launched in 2012, it had sold about 70 million units by 2015 with no recalls ever recorded.It has additional software features, expanded hardware, and a redesigned physique from its predecessor, the Samsung Galaxy S II. The "S III" employs an intelligent personal assistant (S Voice), eye-tracking ability, and increased storage. Although a wireless charging option was announced, it never came to fruition. However, there are third party kits which add support for wireless charging. Depending on country, the 4.8-inch (120 mm) smartphone comes with different processors and RAM capacity, and 4G LTE support. The device was launched with Android 4.0.4 "Ice Cream Sandwich", was updated to Android 4.3 "Jelly Bean", and can be updated to Android 4.4 "KitKat" on variants with 2 GB of RAM. The phone's successor, the Samsung Galaxy S4, was announced on 14 March 2013 and was released the following month. Following an 18-month development phase, Samsung unveiled the S III on 3 May 2012. The device was released in 28 European and Middle Eastern countries on 29 May 2012, before being progressively released in other major markets in June 2012. Prior to release, 9 million pre-orders were placed by more than 100 carriers globally. The S III was released by approximately 300 carriers in nearly 150 countries at the end of July 2012. More than 20 million units of the S III were sold within the first 100 days of release and more than 50 million until April 2013.Because of overwhelming demand and a manufacturing problem with the blue variant of the phone, there was an extensive shortage of the S III, especially in the United States. Nevertheless, the S III was well-received commercially and critically, with some technology commentators touting it as the "iPhone killer". In September 2012, TechRadar ranked it as the No. 1 handset in its constantly updated list of the 20 best mobile phones, while Stuff magazine likewise ranked it at No. 1 in its list of 10 best smartphones in May 2012. The handset also won the "European Mobile Phone of 2012–13" award from the European Imaging and Sound Association, as well as T3 magazine's "Phone of the Year" award for 2012. It played a major role in boosting Samsung's record operating profit during the second quarter of 2012. As of November 2012, the S III is part of a high-profile lawsuit between Samsung and Apple. In November 2012, research firm Strategy Analytics announced that the S III had overtaken Apple's iPhone 4S to become the world's best-selling smartphone model in Q3 2012.In April 2014, following the release of its new flagship, the Galaxy S5, Samsung released a refreshed version called the "Galaxy S3 Neo", which has a quad-core Snapdragon 400 processor clocked either at 1.2 or 1.4 GHz. It has 1.5 GB of RAM and 16 GB of internal storage and ships with Android 4.4.4 "KitKat". The Samsung Galaxy S series is a line of high-end Android-powered mobile devices produced by Samsung Electronics, a division of Samsung from South Korea. The series consisted initially of smartphones and the first device, the Samsung Galaxy S, was announced in March 2010 and released for sale in June of that year. Since the introduction of the Samsung Galaxy Note in 2011, the Galaxy S line has co-existed with the Galaxy Note line as being Samsung's flagship smartphones. Samsung later expanded the Galaxy S line to tablet computers with the announcement of the Galaxy Tab S in June 2014 and released the next month. As of 2019, the latest smartphones in the Galaxy S series are the Samsung Galaxy S10, Samsung Galaxy S10+ and Samsung Galaxy S10e, all released on 21 February 2019, and the latest tablet is the Samsung Galaxy Tab S4 released on August 1, 2018. Suwon Samsung Bluewings (Korean: 수원 삼성 블루윙즈) is a South Korean football club based in Suwon, South Korea, that plays in the K League 1. Founded in December 1995, they have become one of Asian football's most famous clubs with a host of domestic and continental honours. Suwon have won the championship on four occasions, in 1998, 1999, 2004 and 2008. Asia's Player of the Century Cha Bum-kun was the manager of the club from 2004 to 2010, when he replaced former South Korea national team manager Kim Ho who had been the club's first manager. Tizen () is a Linux-based mobile operating system backed by the Linux Foundation but developed and used primarily by Samsung Electronics.